Thinking of having a Hot Pocket for dinner today? Think again. Nestlé USA, the company that produces Hot Pockets, announced last week that it is voluntarily recalling an unspecified number of ”Philly Steak” and ”Croissant Crust Philly Steak and Cheese” Hot Pockets in certain sizes as part of a larger meat recall. This is double trouble for Nestlé; last week Care2 reported on Wiese Brothers Farms supplying a cooperative named Foremost Farms. This group turned out to be a cheese supplier to Nestle’s pizza division, which owns DiGiorno, putting Nestlé in the hot seat for using milk that was supplied from sick and abused cows. In the Hot Pockets issue, Nestlé says the products may have been affected by a meat recall by Rancho Feeding Corporation that was announced last week. 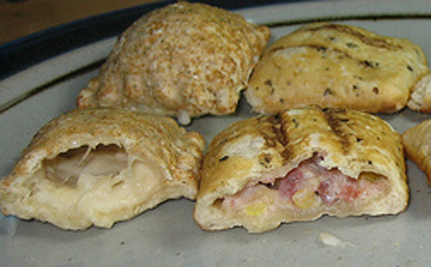 Nestlé says a small quantity of meat from Rancho was used at a California production facility that makes Hot Pockets. Rancho Feeding Corporation, a Petaluma, Calif. establishment, is recalling approximately 8,742,700 pounds of meat, because it processed diseased and unsound animals and carried out these activities without the benefit or full benefit of federal inspection. Thus, the products are adulterated, because they are unsound, unwholesome or otherwise are unfit for human food and must be removed from commerce. – What on earth is an “unsound” animal? I don’t know, but I’m sure I would never want to eat one. – Why did this company use meat from animals that it knew to be sick? – Why is the Nestlé recall voluntary? If the USDA has condemned this meat as “unsound, unwholesome or otherwise unfit for human food,” why is there even a question about pulling all 8.7 million pounds of meat off the market? Ironically, in July of last year, Nestle had big plans to re-brand Hot Pockets to appeal to the growing “foodies” market. Executives at Nestle told Time magazine that they planned to do this with new “Premium Hot Pockets” that would feature high quality meats and unusually fancy crusts including croissant and pretzel bread. That doesn’t seem so likely now. This is only the latest in a series of meat recalls, which prompts me to ask why some people keep eating meat when they know it is bad for them? I’m just regretting that I ever fed my son Hot Pockets, which as a teenager he considered a real treat.